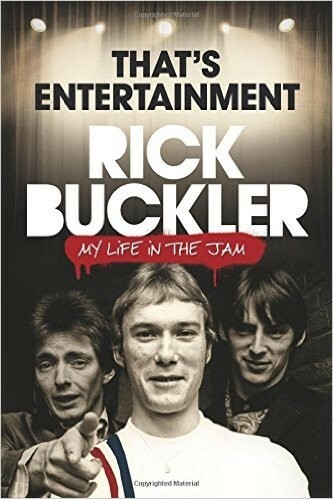 One third of The Jam (surely, the main contender to The Who's Mod Rock crown) was drummer Rick Buckler. This autobiography tells of the slow rise of this band from Woking and its pub gigging to being arguably the biggest serious pop band in the UK for a couple of years in the late seventies/early eighties. The sudden demise of the band, decided upon by song-writer, singer and guitarist Paul Weller, is told with regret but no bitterness. Buckler soldiered on with a new band (Time UK), then a spot of high quality carpentry work, back into music with From The Jam (including Bruce Foxton, TJ's bassist) and finally a bit of band management – a real trooper and his tale is an interesting one. From a historical point of view, the book is also a fine description of life in a suburban Surrey town in the early seventies and is a good social documentary. Buckler clearly has had a fulfilling and varied life but TJ is never going to reform from the sound of things – for example, Weller has not spoken to Buckler for a long while. However, TJ's legacy as an iconic and influential band endures and Buckler is certainly a vital element in this.